Twenty-five-year-old Mpho Raborife is making her presence felt and is set on growing her expertise in the field science. Raborife been awarded the L’Oréal-UNESCO Regional Fellowships For Women in Science (FWIS) in Sub-Saharan Africa. 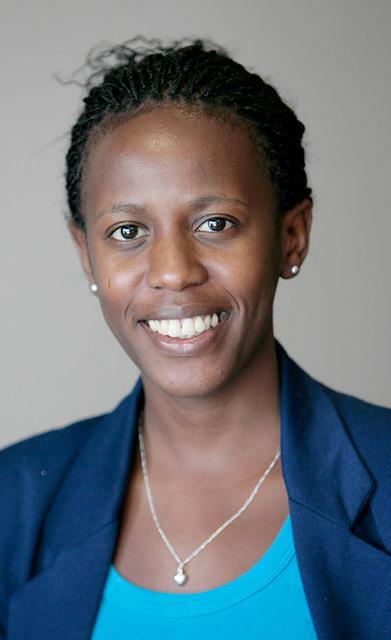 She along with nine inspiring women scientists from across Sub-Saharan Africa have been honoured for their work in the scientific field and awarded fellowships of €15 000, over R190 000, to put towards their PhD research. Fellowship recipients will recognised at an event taking place on 25 September 2013. The L’Oréal-UNESCO Regional Fellowships For Women in Science in Sub-Saharan Africa is open to all women scientists up to age 40 across Sub-Saharan Africa who are working towards their PhD in all fields of science. Raborife acquired her BSc, BSc Honours and MSc from Wits and is currently studying towards her PhD, which she expects to complete in 2015. Despite this success, there was a time when she doubted if she would obtain even one degree. Born and bred in Soweto, Raborife is a middle child with two siblings and was raised by a single mother. She started school at four-years-old and finished high school at just 16 with a reputation for being a smart and diligent student. It was then that one of her lecturers suggested that she swap some of her courses around and that, Mpho says, was a life saver. With a new-found confidence, she pursued her studies with vigour, taking up the role of assistant to her lecturer during second year. “It was at that time that I became interested in being a research scientist. It gives me great joy to have other people improving and continuously working on my research, as that brings about a culture of collaboration and knowledge transfer. I have been fortunate enough to have supervisors (who are also my mentors) who have encouraged and supported me continuously in my studies,” she adds. This has helped Raborife immensely with her PhD research, themed operational formalisation and optimisation in a virtual buying cooperative, which aims to develop computational models to optimise group purchasing power for small enterprises in the virtual market. Bertrand de Laleu, L’Oréal South Africa Managing Director, says the chief objective of the regional fellowship is to increase the participation of women in the field of science. “Women face a number of challenges in this still heavily male-dominated sector. L’Oréal seeks to assist by removing one of these hurdles, which is access to finance. Not only is it anticipated that this will increase their active involvement and contribution to the sciences, but it will also enable women to positively impact social and economic progress in various ways, such as through addressing climate change and public health issues, for example. We believe the women we assist have the potential to make great strides in the field of science; in fact, two of the beneficiaries of our global programme have gone on to win Nobel prizes,” he says. In her downtime Mpho enjoys reading crime fiction novels and watching movies. For more on the L’Oréal-UNESCO Regional Fellowships For Women in Science (FWIS) in Sub-Saharan Africa, click here.